Relax by the water at Four Mile Beach and Palm Cove Beach. Visiting Safaris and Nature & Wildlife Tours will get you outdoors. Explore Cairns' surroundings by going to Palm Cove (Hartley's Crocodile Adventures & Village Gallery) and Daintree Discovery Centre (in Cow Bay). Spend the 20th (Mon) among aquatic life with a scuba or snorkeling tour. There's still lots to do: trek along Esplanade Boardwalk and admire the landmark architecture of Freshwater Station. For where to stay, reviews, maps, and tourist information, refer to the Cairns driving holiday planner. Rome, Italy to Cairns is an approximately 27-hour flight. You can also do a combination of train and flight. Traveling from Rome to Cairns, you'll lose 9 hours due to the time zone difference. Expect warmer temperatures when traveling from Rome in January; daily highs in Cairns reach 37°C and lows reach 28°C. Finish your sightseeing early on the 25th (Sat) so you can travel to Brisbane. Step out of the city life by going to Lone Pine Koala Sanctuary and Moffat Beach. Do some cultural sightseeing at Queensland Museum & Sciencentre and Gallery of Modern Art. There's lots more to do: kick back and relax at Dicky Beach, find something for the whole family at Wheel of Brisbane, take in the spiritual surroundings of Nepalese Pagoda, and admire the masterpieces at Queensland Art Gallery. To see other places to visit, traveler tips, reviews, and more tourist information, go to the Brisbane trip builder app . You can fly from Cairns to Brisbane in 5.5 hours. Other options are to do a combination of flight and bus; or drive. When traveling from Cairns in January, plan for a bit cooler days in Brisbane, with highs around 34°C, while nights are about the same with lows around 25°C. Wrap up your sightseeing on the 28th (Tue) early enough to drive to Byron Bay. Named after Lord Byron's grandfather, Byron Bay is not only famous as the easternmost point of Australia, but even more so as one of the liveliest vacation spots in the country. To see maps, ratings, photos, and other tourist information, refer to the Byron Bay trip planner . Getting from Brisbane to Byron Bay by car takes about 2 hours. Other options: take a bus; or do a combination of train and bus. Traveling from Brisbane in January, you can expect nighttime temperatures to be slightly colder in Byron Bay, with lows of 21°C. On the 29th (Wed), you're off toHobart. You'll enjoy a bit of beach vacationing at Opossum Bay Beach and Seven Mile Beach. 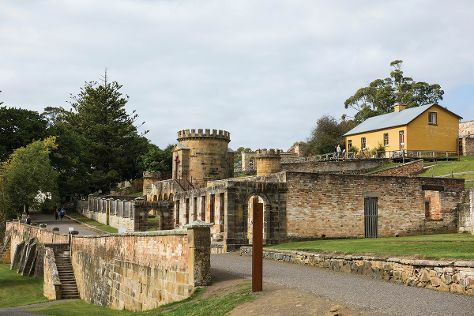 Do some cultural sightseeing at Port Arthur Historic Site and Cascade Brewery. Venture out of the city with trips to Every Man and His Dog Vineyard (in Richmond), Bonorong Wildlife Sanctuary (in Brighton) and Tasmanian Devil Unzoo (in Taranna). And it doesn't end there: steep yourself in history at Cascades Female Factory Historic Site, get to know the fascinating history of Battery Point Sculpture Trail, and enjoy the sand and surf at Kingston Beach. For reviews, more things to do, other places to visit, and tourist information, read Hobart trip itinerary builder app . Traveling by combination of bus and flight from Byron Bay to Hobart takes 6 hours. Alternatively, you can do a combination of car and ferry; or do a combination of bus, train, and ferry. Expect slightly colder temperatures when traveling from Byron Bay in January; daily highs in Hobart reach 26°C and lows reach 14°C. Cap off your sightseeing on the 1st (Sat) early enough to go by car to Coles Bay. Overlooking one of Tasmania's most scenic strips of coastline and serving as the gateway to Freycinet National Park, Coles Bay is home to just 500 permanent residents. Start off your visit on the 1st (Sat): explore the galleries of Kings Fine Art Gallery, stop by Freycinet Marine Farm, then get up close to creatures of the deep with a dolphin and whale watching tour, and finally trek along Wineglass Bay Lookout. Get ready for a full day of sightseeing on the next day: do a tasting at Devil's Corner Cellar Door, get a dose of the wild on a nature and wildlife tour, and then enjoy the sea views from Cape Tourville Lighthouse. To find other places to visit, maps, ratings, and tourist information, refer to the Coles Bay day trip planner. Getting from Hobart to Coles Bay by car takes about 2.5 hours. Other options: do a combination of bus and taxi. Finish your sightseeing early on the 3rd (Mon) so you can drive to Launceston. 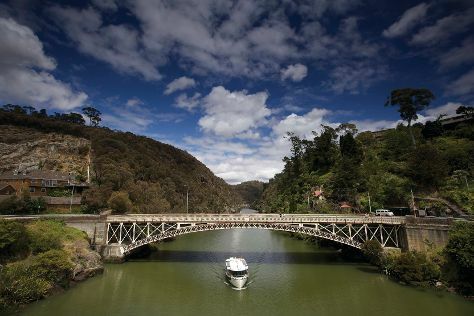 On the 3rd (Mon), get engrossed in the history at Queen Victoria Museum & Art Gallery, then get engrossed in the history at Beaconsfield Mine & Heritage Centre, and then identify plant and animal life at Cataract Gorge Reserve. On your second day here, indulge your thirst for a good beer at James Boag Brewery Experience, admire the sheer force of Lilydale Falls, then do a tasting at Pipers Brook Vineyard, and finally stop by Bridestowe Lavender Estate. For reviews, where to stay, more things to do, and tourist information, read Launceston travel route planner. Drive from Coles Bay to Launceston in 2.5 hours. Alternatively, you can do a combination of car and bus; or take a bus. In February, plan for daily highs up to 28°C, and evening lows to 13°C. Wrap up your sightseeing on the 5th (Wed) to allow time to travel to Melbourne. Take a break from the city and head to Royal Botanic Gardens and Melbourne Zoo. Head to Melbourne Central and The Junk Companyfor some retail therapy. There's much more to do: brush up on your military savvy at Shrine of Remembrance, see the interesting displays at Melbourne Museum, wander the streets of Degraves Street, and explore the world behind art at National Gallery of Victoria. For more things to do, traveler tips, maps, and tourist information, read Melbourne journey maker tool . You can fly from Launceston to Melbourne in 4 hours. Alternatively, you can do a combination of bus and flight; or do a combination of car and ferry. Traveling from Launceston in February, you will find days in Melbourne are somewhat warmer (32°C), and nights are about the same (16°C). Finish your sightseeing early on the 8th (Sat) to allow enough time to travel to Uluru-Kata Tjuta National Park. Start off your visit on the 8th (Sat): trek along Kuniya Walk, contemplate the waterfront views at Mutitjulu Waterhole, then take in the dramatic natural features at Uluru, and finally make a trip to Field of Light. Here are some ideas for day two: get engrossed in the history at Uluru-Kata Tjuta Cultural Centre, take in the exciting artwork at Walkatjara Art, then take your sightseeing to a higher altitude at Kata Tjuta, and finally get outside with Walpa Gorge. 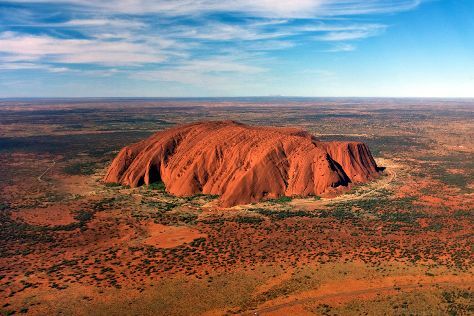 You can plan Uluru-Kata Tjuta National Park trip in no time by asking Inspirock to help create your itinerary. Getting from Melbourne to Uluru-Kata Tjuta National Park by flight takes about 5 hours. Other options: drive. Expect a bit warmer temperatures when traveling from Melbourne in February; daily highs in Uluru-Kata Tjuta National Park reach 43°C and lows reach 25°C. Wrap up your sightseeing on the 10th (Mon) to allow time to travel to Alice Springs. Kick off your visit on the 10th (Mon): take an in-depth tour of Alice Springs School of the Air Visitor Centre, then steep yourself in history at Alice Springs Telegraph Station Historical Reserve, then view the masterpieces at This is Aboriginal Art, and finally look for all kinds of wild species at Alice Springs Desert Park. 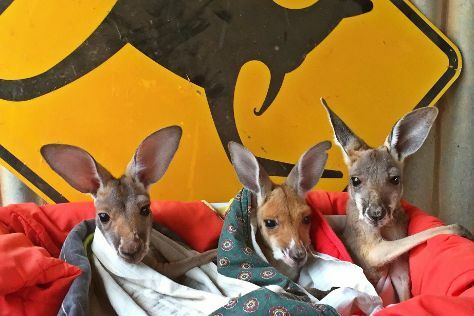 On your second day here, look for all kinds of wild species at Alice Springs Reptile Centre, then take in the exciting artwork at Yubu Napa Art Gallery, then take in the exciting artwork at Talapi, and finally identify plant and animal life at The Kangaroo Sanctuary. For photos, ratings, maps, and more tourist information, use the Alice Springs online attractions planner . Traveling by combination of flight and taxi from Uluru-Kata Tjuta National Park to Alice Springs takes 2 hours. Alternatively, you can drive. Expect a daytime high around 42°C in February, and nighttime lows around 24°C. Finish up your sightseeing early on the 12th (Wed) so you can travel to Darwin. Head to Provenance Arts and Mason Galleryfor some retail therapy. Deepen your sense of the past at sights like Adelaide River War Cemetery and Star Village. Change things up with a short trip to Litchfield National Park in Batchelor (about 1h 20 min away). The adventure continues: identify plant and animal life at Crocosaurus Cove, examine the collection at Museum & Art Gallery of the Northern Territory, cool off at Wave Lagoon, and take in the exciting artwork at Nomad Art Gallery. 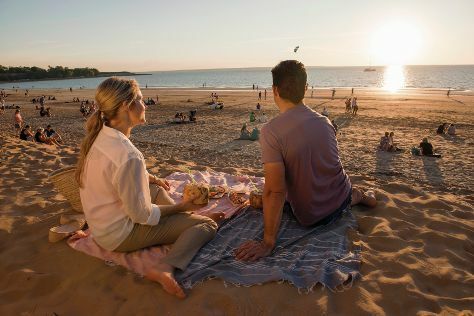 To see photos, where to stay, and tourist information, read our Darwin driving holiday planner . Fly from Alice Springs to Darwin in 5.5 hours. Alternatively, you can drive; or take a bus. Expect little chillier weather when traveling from Alice Springs in February: highs in Darwin hover around 37°C, while lows dip to 28°C. Wrap up your sightseeing by early afternoon on the 17th (Mon) to allow time for travel back home.